We are fortunate to have a number of long-term, committed employees who have been with us for many years. All are talented, dedicated people and our clients often comment on the responsiveness and attentiveness of our entire team. We also have a well-honed network of partners whom we call upon when the need arises to ensure we can offer a full set of capabilities, meet deadlines and exceed our clients’ expectations. Meg Kelleher is a Managing Director at The Collaborative. Prior to joining the Collaborative, Meg was a regional managing director for Fidelity Clearing & Custody Solutions (FCCS), a unit of Fidelity Investments that provides a comprehensive custody platform, brokerage services, trading capabilities, and practice management and consulting services to registered investment advisors, including strategic acquirers and professional asset managers, as well as retirement service providers. With more than 30 years of financial services experience, Meg had national responsibility for FCCS’ Core Advisor Solutions (CAS) group, the Business Development Group (BDG), as well as retirement plan advisor clients. She oversaw a dedicated team to attract and serve small advisors on Fidelity’s platform, and to promote the services of 401(k) retirement plan record keepers while engaging more effectively with advisors who sell retirement plans. In this role, Meg helped clients drive scale and efficiency, grow their business and keep them at the forefront of their industry. She was named one of the “2013 Most Influential People” by the 401kWire. Prior to joining Fidelity in 2007, she was a senior vice president at State Street Bank, responsible for business development and relationship management for the wealth manager services business. Meg began her career in financial services at Salomon Brothers in New York City, where she held various positions. She then spent several years as the chief operating officer at the Massachusetts Industrial Finance Agency. Meg earned a Bachelor of Arts degree in special education from Boston College. She and her husband have three children and reside in Marshfield, Massachusetts. She serves on The Boston College Alumni Board, is a member of the Council for Women of Boston College and is on the Board of Director’s for Alice’s House, a non profit in Scituate, Massachusetts. Janet joins The Collaborative as Director of Coaching. She has extensive experience in coaching leaders whose job responsibilities have expanded through promotion or organizational growth. She develops and delivers customized leadership workshops, and facilitates groups, such as senior management retreats and board retreats. She has held leadership roles as a member of the senior management team at Thomson Financial Software Division and Mintz Levin (law firm). She has personally managed groups of up to 60 employees. Janet’s approach is to build on leadership strengths while developing new skills. When leaders enhance their accountability and authenticity, the entire organization transforms business results as well. 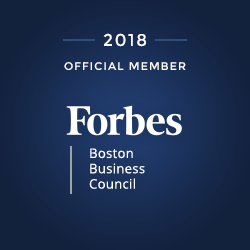 Janet holds an MBA with a concentration in Organization Development from Boston College; certifications include Myers-Briggs, Neurolinguistic Programming (NLP), Lego Serious Play (a strategic facilitation process), Immunity to Change, a Gestalt-based group process, and ICF coach certification. She is a devotee of Carl Jung’s psychological concepts, having studied in Ireland, Vermont, and Boston, and has presented at the Jung Institute in Boston. She has been an adjunct faculty member in the management departments at Lesley University and Regis College. Clients include a wide range of industries including high tech, financial services, biotech, pharmaceutical, non-profit and real estate development. Jennifer M. Copley joins The Collaborative as an accomplished business consultant, executive coach, trainer, facilitator, behavioral analyst, and talent assessment interpreter. She is the founder and managing partner of CopleyConsulting, an executive talent assessment and development firm located outside of Boston, Massachusetts. For more than two decades she has helped fast-growing companies assess, interpret, select and train top-performers. She continues to facilitate executive team building sessions that increase goal achievement through the understanding of human behaviors, motivators and decision-making. Jennifer is a Certified Professional Behavioral Analyst (CPBA) and Certified Professional Values Analyst (CPVA). She is also a TriMetrix HD certified consultant through Target Training International. She has used the TriMetrix HD assessment tools with individuals and many large, global corporations throughout her firm, 17-year existence. She began her career in sales, sales management, sales consulting, and training in the technology, financial services, healthcare and educational fields. She holds Bachelor of Science Degree in Marketing from Bryant University and is a Coach University graduate. Jennifer is the author of the forthcoming book entitled: Executive Team Building Breakthroughs: Improving Goal Execution Through Understanding Behaviors, Motivators & Decision-Making. With over 20 years of experience as a marketing strategist and a graphic and interactive designer, Mark possesses a unique combination of design skill and business savvy that allows him to identify company goals and transform them into imaginative, bottom line-focused creative solutions. Mark works with Collaborative clients in a variety of capacities – providing design for training materials to ensure they are user-friendly and appealing, creating take-away. materials that are simple and easy to use, developing positioning and marketing strategies and look and feel, designing, developing and creating websites, and finding graphical ways to represent ideas and concepts. Many of The Collaborative and Advisors Trusted Advisor clients have benefitted from Mark’s unique approach as a talented artist, graphic designer and businessman. Prior to joining The Collaborative, Mark was the founder of Ezvaluator.com, an online provider of financial analytics designed for small businesses. He was a founding member of the strategy group at Plural, Inc. (now Dell Professional Services) and head of the company’s creative services group. In this position, he led both design and strategy teams for major financial and B2B clients. Prior to joining Plural, Mark was vice president of client solutions at Macquarium Intelligent Communications in Atlanta. Mark has spoken extensively across the US on interactive and design related topics and has had articles published in several trade publications. He holds Bachelor of Science and Master of Architecture degrees from the Georgia Institute of Technology. Wendy Lee Austin has worked with The Collaborative for 12 months in a coaching and consulting role. Wendy Lee had hired The Collaborative many times in her leadership roles and joined the firm to become a key component of the offering. Wendy Lee speaks, coaches, trains and works with all of the most important clients of the firm. She uses the proprietary tools developed by The Collaborative and adds her own expertise to make the learning experience excellent for participants. She previously was a Chief Learning Office at BNYMellon. Her 24 year career with BNYMellon allowed her to work, in a variety of capacities, in most all of the areas for the bank. She developed the New Hire Orientation program, and co-created the proprietary sales program PACES which the company is now training all employees to learn. In addition to successfully managing people and projects, Wendy is very skilled in training, motivating and engaging with people to help them learn new ideas and be able to implement those ideas in their daily work. Howard S. Krooks, a partner of Elder Law Associates PA with offices throughout Southeast Florida, is admitted to practice law in New York (1990) and Florida (2004). Mr. Krooks is Of Counsel to Amoruso & Amoruso, LLP, in Rye Brook, New York. Mr. Krooks splits his time between New York and Florida, where his professional practice is devoted to elder law and trusts and estates matters, including representing seniors and persons with special needs and their families in connection with asset preservation planning, supplemental needs trusts, Medicaid, Medicare, planning for disability, guardianship, wills, trusts and health care planning with advance directives. Mr. Krooks is certified as an Elder Law Attorney by the National Elder Law Foundation and is a Past President of the National Academy of Elder Law Attorneys (NAELA; 2013-2014). He is also the current President of the New York chapter of NAELA and serves on the Executive Council of The Florida Bae Elder Law Section as the Administrative Vice-Chair and NAELA Liaison. He is a Past Chair of the Elder Law Section of the New York State Bar Association (NYSBA; 2005). He was selected as a Florida Super Lawyer and a New York Super Lawyer (2007-2017). He was also named a Top 25 Westchester County Attorney (New York Times – Sept. 2012-2017). He was recognized as one of Florida’s Legal Elite for 2016-2017. Mr. Krooks has a 10.0 (Excellent) rating from Avvo and is AV Preeminent® rated by Martindale-Hubbell, a testament that Mr. Krooks’ peers rank him at the highest level of professional excellence. Mr. Krooks received the Outstanding Achievement Award from the NY Chapter of NAELA in 2006 for serving as Co-Chair of a Special Committee on Medicaid Legislation formed by the NYSBA Elder Law Section to oppose NY Governor George Pataki’s budget bills containing numerous restrictive Medicaid eligibility provisions that, if enacted, would severely impact the frail elderly and disabled populations. He was also recognized for serving as Co-Chair of the NYSBA Elder Law Section Compact Working Group, which received national attention for developing alternative methods of financing long-term care. Additionally, Mr. Krooks served as Chair of a Special Committee created by the NYSBA Elder Law Section to address the Statewide Commission on Fiduciary Appointments formed by Chief Justice Judith Kaye. Mr. Krooks co-authored the chapter, “Creative Advocacy in Guardianship Settings: Medicaid and Estate Planning Including Transfer of Assets, Supplemental Needs Trusts and Protection of Disabled Family Members” included in Guardianship Practice in New York State, and the chapter “Long Term Care Insurance in New York” included in Estate Planning and Will Drafting in New York, both published by the NYSBA. He is widely published on many elder law topics. A former Adjunct Assistant Professor at New York University’s School of Continuing and Professional Studies, Mr. Krooks taught Asset Protection Planning. He also served as an instructor for the NY Certified Guardian & Court Evaluator Training program. Mr. Krooks is a Founding Principal of ElderCounsel LLC, the premier elder law and special needs planning document drafting solution for attorneys. As a frequent lecturer, Mr. Krooks has addressed many organizations including NAELA, Stetson Special Needs Conference, ALI-ABA, ElderCounsel, WealthCounsel, the National Guardianship Association, the Florida Bar Association, the Academy of Florida Elder Law Attorneys, the NYSBA, the Association of the Bar of the City of New York, UJA Federation, the Brooklyn Bar Association, the Suffolk County Bar Association, the Richmond County Bar Association, Berkeley College, the United Federation of Teachers and the New York State United Teachers, among others. Mr. Krooks has been quoted in The Wall Street Journal, The New York Times, Kiplinger’s, USA Today, The New York Post, Newsday, The Journal News and the Boca Raton News. He has appeared on PBS, the CBS Early Morning Show and elder law focused local cable television programs. Jill Poser founded the Life Care Planning (LCP) Division within Advocare – Care Advocates (www.caremanage.com) to establish a full-service integrated care management platform. The express purpose of the LCP division is to synchronize each client’s financial wherewithal with his or her changing care needs. Under Jill’s leadership, the LCP team implements programs and services for clients dealing with life transitions because of aging and physical or cognitive disabilities. Her vision is the culmination of more than thirty years of business experience, which includes care management, Life Care Planning, Medicare home health sales and special needs construction. Jill devotes extensive time and resources to educating the community-at-large. She has been a featured speaker at the Alzheimer Community Care 2010 Educational Conference, the 2010 National PCA Conference in Washington D.C., the 2013 Elder Concert at Florida Atlantic University, Boca Raton, FL, the FICPA Academy Conference in Tampa, FL, 2015, FAU Memory & Wellness Center, Boca Raton, FL, Vitas Healthcare, the Caregiver Solutions Radio Show and senior communities throughout South Florida. Currently, Jill consults with independent financial adviser groups advising on the challenge of diminished capacity and developing strategies for how their service will evolve and adapt to clients as they age. Jill rededicated her career to the Aging-in-Place phenomenon beginning in early 2008 with the ‘Certified Aging-in-Place Specialist’ designation from the National Association of Home Builders (NAHB) while she co-owned a design build company in Fort Lauderdale, FL. Her ‘One-Stop-Shop Philosophy’ in home safety through design and renovation was the first step toward her role in advocacy. In 2009, she founded the Poser Home Safety Company, Boca Raton, FL; an accessibility modification-based company geared towards people with a variety of disabilities. The firm specialized in aging-in-place, home safety, accessible solutions and project management services to maximize independence and daily life activities. The chance to evoke change and achieve positive outcomes is a driving force and key component to all of Jill’s business practices. She is a board member of The Jewish Federation of South Palm Beach County Business & Professional (B & P) Cabinet, co-chair of the B & P Cabinet Annual Campaign, a member of the Pomegranate Society and Women’s Philanthropy Board Member. She most recently developed and launched the first social action project on behalf of the B & P Cabinet called the Cabinet Closet that donates suitable attire for interviews and employment empowering people to achieve economic independence. Jill is a motivational speaker for Career Comeback; a program helping women come back into the workforce. She was a member of the A.W. Dreyfoos School of the Arts Advisory Council and sat on the board of the FAU Memory and Wellness Center. Jill holds a Graduate Certification in Geriatric Care Management from the University of Florida and a Certified Aging-in-Place designation from the National Association of Home Builders. In recognition of Bev’s noted accomplishments, she is now listed in Wikipedia.